Audio software, video software, programs to watch movies, software to listen to music, television software, programs for free download Network Video Player, JDC media player, Video Jack, Really Simple Video Player, DHPlayer, VidPlay, Perfect Movies, Audio Recorder, ACG Media Player, Ax-Lite Video Player Download for free! »» Free download Network Video Player! Network Video Player ::: a computer program that allows users to watch movies. Using Network Video Player can watch video files in the most popular formats. Network Video Player is mainly used for playing video files on the local network. »» Free download JDC media player! JDC media player ::: a computer program that allows users to play multimedia content. Using JDC media player can listen to music and watch movies in the most popular formats. JDC media player allows different play modes and has different control functions. »» Free download Video Jack! Video Jack ::: a computer program that allows users to watch movies. Using Video Jack, you can watch movies in different video formats. Video Jack provides various control functions and lets you apply different filters. »» Free download Really Simple Video Player! Really Simple Video Player ::: a computer program that allows users to view video files. Using Really Simple Video Player, you can watch video in most popular formats. Really Simple Video Player provides various control functions and lets you apply different filters. DHPlayer ::: a computer program that allows users to watch movies. Using DHPlayer, you can watch movies in different video formats. DHPlayer is compatible and supports the most popular video formats. VidPlay ::: a computer program that allows users to watch videos and listen to music. Using VidPlay can watch movies and listen to music in different media formats. VidPlay allows different play modes and has different control features. »» Free download Perfect Movies! Perfect Movies ::: a computer program that allows users to watch movies. Using Perfect Movies, you can watch movies in different video formats. 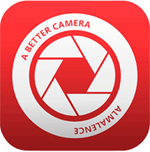 Perfect Movies provides various control functions and lets you apply different filters. 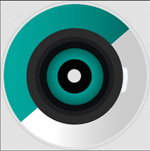 »» Free download Audio Recorder! Audio Recorder ::: a computer program that allows users to record audio. Using Audio Recorder can make audio recordings using the device's microphone. Audio Recorder allows you to save and synchronize recordings between different devices. »» Free download ACG Media Player! ACG Media Player ::: a computer program that allows users to play multimedia content. Using ACG Media Player, you can watch video files and listen to audio files on the most popular multimedia formats. ACG Media Player lets you apply different audio / video effects and supports subtitles. »» Free download Ax-Lite Video Player! Ax-Lite Video Player ::: a computer program that allows users to watch movies. Using Ax-Lite Video Player, you can watch movies in different video formats. Ax-Lite Video Player provides various control functions and lets you apply different filters.